Nel corso degli ultimi trent’anni, il New Public Management (NPM) ha ispirato le riforme manageriali nel settore pubblico in tutto il mondo (OECD 2009). La valutazione delle performance e i sistemi di controllo gestionali sono stati i principali strumenti utilizzati dal NPM per aumentare l’efficienza e l’efficacia delle organizzazioni pubbliche (Hood 1991). Anche in Italia, i vari governi hanno adottato tale approccio, emanando diversi provvedimenti legislativi per promuovere la gestione delle performance. Nel presente lavoro si è utilizzato il framework proposto da Bouckaert e Halligan (2008) per analizzare e descrivere l’implementazione di un performance management system (PMS) all’interno dell’Esercito Italiano e per cogliere come determinati fattori abbiano contraddistinto tale processo organizzativo. Over the last thirty years, New Public Management (NPM) has inspired managerial reforms in public sectors worldwide (OECD 2009). Performance evaluation and managerial control systems have been the main instruments for the pursuit of efficiency and effectiveness in public organizations (Hood 1991). Successive Italian governments have embraced this theory and have enacted several laws to promote performance management. In this paper, we use the framework proposed by Bouckaert and Halligan (2008) to describe the implementation of a performance management system (PMS) in the Italian Army and to identify some critical factors that have characterized this organizational process. Arksey P., Knight T. (1999), Interviewing for Social Scientists, London: Sage Publication. Atkinson A.A., McCrindell J.Q. (1997), “Strategic performance measurement in government”, CMA Magazine, 71(3), pp. 20-23.Basili V. Caldiera G., Romb ach, H. (1994), “The Goal Question Metric Approach”, Encyclopedia of Software Engineering, 2, pp. 528-532. Behn R.D. (2003), “Why Measure Performance? Different Purposes Require Different Measures”, Public Administration Review, 63(5), pp. 586-606. Benbasat I. (1984), “An Analysis of Research Methodologies”, in F. Warren (a cura di), The Information Systems Research Challenge, Boston: Harward Business School Press. Bianchi C., Rivenbark W.C. (2012), “A Comparative Analysis of Performance Management Systems”, Public Performance & Management Review, 35 (3), pp. 509-526. Borgonovi E. (2005), Principi e sistemi aziendali per le pubbliche amministrazioni, Milano: Egea. Bouckaert G. (1993), “Measurement and Meaningful Management”, Public Productivity & Management Review, 17(1), pp. 31-43. Bouckaert G., Halligan J. (2008), Managing Performance. International Comparisons, London: Routledge. Bouckaert G., Van Dooren W. (2009), “Performance Measurement and Managementin Public Sector Organizations”, in T. Bovaiard and E. Loffler, Public Management and Governance (2nd ed. ), New York: Routledge, pp. 151-164. Bourdeaux C., Chikoto G. (2008), “Legislative Influences on Performance Management Reform”, Public Administration Review, 68(2), pp. 253-265. Brass D., Krackhardt D. (1999), “Social Capital for Twenty-first Century Leaders”, in J.G. Hunt, G.E. Dodge, L. Wong, Out of the Box Leadership Transforming the Twenty-First Century Army and Other Top Performing Organizations, Bradford: Emerald Pubblication. Brignall S., Ballantine J. (1996), “Performance measurement in service businesses revisited”, International Journal of Service Industry Management, 7(1): pp. 6-31. Calciolari S. (2009), “Gestione della pubblica amministrazione basata sui risultati: criticità, strumenti e prosepettive”, Azienda Pubblica, 4, pp. 645-664. Corbetta P. (1999), Metodologie e Tecniche della Ricerca Sociale, Bologna: Il Mulino. Creswell J.W. (2007), Research design: Qualitative, quantitative, and mixed methods approaches (2nd ed. ), Thousand Oaks, CA: Sage. Darke P., Shanks G., Broadbent M. (1998), “Successfully completing case study research: combining rigour, relevance and pragmatism”, Information Systems Journal, 8(4), pp. 273-289. De Lancer Julnes P., M. Holzer (2001), “Promoting the Utilization of Performance Measures in Public Organizations: An Empirical Study of Factors Affecting Adoption and Implementation”, Public Administration Review, 61(6), pp. 693-708. De Vries M., Nemec J. (2013), “Public sector reform: an overview of recent literature and research on NPM and alternative paths”, International Journal of Public Sector Management Accounting, 26(1), pp. 4-16.
de Waal A.A. (2003), “Behavioral factors important for the successful implementation and use of performance management systems”, Management Decision, 41(8), pp. 688-697. Diefenbach T. (2009), “New Public Management in Public Sector Organizations: the Dark Sides of Managerialistic ‘Enlightenment’”, Public Administration, 87(4), pp. 892-909. DiMaggio P.J., W.W. Powell (1983), “The Iron Cage Revisited: Institutional Isomorphism and Collective Rationality in Organizational Fields”, American Sociological Review, 48, pp. 147-160. Dunleavy P., Margetts H., Bastow S., Tinkler J. (2006), “New Public Management Is Dead-Long Live Digital-Era Governance”, Journal of Public Administration Research and Theory, 16(3), pp. 467-494. Eisenhardt K., M. Graeb ner (2007), “Theory Building From Cases: Opportunities and Challenges”, The Academy of Management, 50(1), pp. 25-32. Franco M., Bourne M. (2003), “Factors that play a role in ‘managing through measures’“, Management Decision, 41(8), pp. 698-710. Frumkin P., Gelaskiewicz J. (2004), “Institutional Isomorphism and Public Sector Organizations”, Journal of Public Administration Research & Theory, 14(3), pp. 283-307. Fryer K., Antony J., S. Ogden (2009), “Performance management in the public sector”, International Journal of Public Sector Management, 22(6), pp. 478-498. Grizzle G.A. (1985), “Performance Measures for Budget Justifications: Developing a Selection Strategy”, Public Productivity Review, 9(4), pp. 328-341. Gruening G. (2001), “Origin and theoretical basis of new public management”, International Public Management Journal, 4(1), pp. 1-25. Hatry H.P. (1999), Performance Measurement: Getting Results, Washington, DC: Urban Institute Press. Heinrich C.J. (2002), “Outcomes-Based Performance Management in the Public Sector: Implications for Government Accountability and Effectiveness”, Public Administration Review, 62(6), pp. 712-725. Hinna L. (2010), “La riforma: una lettura in chiave manageriale”, in L. Hinna, G. Valotti, Gestire e Valutare la Performance nella PA, Rimini: Maggiori Editore, pp. 69-260. Hughes O. (2008), What is, or was, the New Public Management?, IRSPM XII conference, Brisbane: Qut. Jones L.R. (2004), “New Public Management Has Been Completely Discredited, Thank God!”, International Public Management Review, 5(2), pp. 148-172. Jones L.R., Kettl D.F. (2003), “Assessing Public Management Reform In An International Context”, International Public Management Review, 4(1), pp. 1-19. Kaplan R.S. (2001), “Strategic Performance Measurement and Management in Nonprofit Organizations”, Nonprofit Management and Leadership, 11(3), pp. 353-370. Kaplan R.S., Norton D.P. (1992), “The Balanced Scorecard – Measures That Drive Performance”, Harvard Business Review, 70, pp. 71-79. Kettl D.F. (1997), “The global revolution in public management: Driving themes, missing links”, Journal of Policy Analysis and Management, 16,(3), pp. 446-462. Kloot L., Martin J. (2000), “Strategic performance management: A balanced approach to performance management issues in local government”, Management Accounting Research, 11(2), pp. 231-251. Lapsley I. (2009), “New Public Management: The Cruellest Invention of the Human Spirit?”, Abacus, 45(1), pp. 1-21. Loiero R., Gai A. (2010), “Le relazioni annuali sullo stato della spesa: prime brevi considerazioni sull’applicazione dell’articolo 3, comma 68, della legge finanziaria 2008”, Amministrazione in cammino, da http://www.amministrazioniincammino.luiss.it/site/_contentfiles/00016300/16374_Relazioni%20ne%20sullo%20stato%20della%20spesa%20_2_pdf. Miles B.M., Huberman A.M. (1994), Qualitative Data Analysis: An Expanded Sourcebook, Thousand Oaks, CA: Sage Publications. Minelli E., Rebora G., Turri M. (2008), “The risk of failure of controls and levers of change: an examination of two Italian public sectors”, Journal of Accounting & Organizational Change, 4(1), pp. 5-26. MoD (2010), Il Sistema di Misurazione e Valutazione della Performance Organizzativa del Ministero della Difesa, Roma: Ministero della Difesa. MoD (2014), Documento Programmatico Pluriennale per la Difesa per il triennio 2014-2016, Roma: Ministero della Difesa. Modell S. (2004), “Performance Measurement Myths in the Public Sector: A Research Note”, Financial Accountability & Management, 20(1), pp. 39-55. Modell S. (2009), “Institutional Research on Performance Measurement and Management in the Public Sector Accounting Literature: a Review and Assessment”, Financial Accountability & Management, 25(3), pp. 277-303. Mol N.P. (1996), “Performance Indicators In The Dutch Department Of Defence”, Financial Accountability & Management, 12(1), pp. 71-81. Monteduro F. (2010), “Il Ciclo di Gestione della Performance”, in L. Hinna, G. Valotti, Gestire e Valutare la Performance nella PA, Rimini: Maggiori Editore, pp. 323-437. Moynihan D.P. (2006), “Managing for Results in State Government: Evaluating a Decade of Reform”, Public Administration Review, 66(1), 77-89. Oecd (1997), In search of results: performance management practices, Paris: OECD. Ongaro E., ValottiG. (2008), “Public management reform in Italy: explaining the implementation gap”, International Journal of Public Sector Management, 21(2), pp. 174-204. Osborne D., Gaebler T. (1992), Reinventing government, Reading, MA: Addison-Wesley. Otley D. (1999), “Performance management: a framework for management control systems research”, Management Accounting Research, 10(4), pp. 363-382. Pollitt C. (1990), Managerialism and the public services: The Anglo-American experience, Oxford: Blackwell. Pollitt C. (2001), “Integrating Financial Management and Performance Management”, OECD Journal on Budgeting, 1(2), pp. 7-37. Pollitt C. (2006), “Performance Management in Practice: A Comparative Study of Executive Agencies”, Journal of Public Administration Research and Theory, 16(1), pp. 25-44. Pollitt C. (2009), “Bureaucracies Remember, Post-Bureaucratic Organizations Forget?”, Public Administration, 87(2), 198-218. Pollitt C., Bouckaert G. (a cura di) (2011), Public Management Reform: A Comparative Analysis-New Public Management, Governance, and the Neo-Weberian State, 3rd ed., Oxford New York: Oxford University press. Rainey H.G., Backoff R.W., Levine C.H. (1976), “Comparing Public and Private Organizations”, Public Administration Review, 36(2), pp. 233-244. Robinson M. (2007), Performance Budgeting: Linking Funding and Results, New York: International Monetary Fund. Sarcia’ S.A. (2010), Is GQM+Strategies really applicable as is to non-software development domains?, Proceedings of the 2010 ACM-IEEE International Symposium on Empirical Software Engineering and Measurement, Bolzano-Bozen, Italy, ACM: 1-4. SME (2014), Army Report 2013, Rivista Militare. M. o. Defence, Roma, Italian Army General Staff, Special Issue. Suppa A., Zardini A., Sarcia’ S.A. (2011), “IT helps the Italian Army implement a Performance Management System”, itAIS 2011 VIII Conference, Rome: Springer. Thiel S.V., Leeuw F.L. (2002), “The Performance Paradox in the Public Sector”, Public Performance & Management Review, 25(3), pp. 267-281. Tino G. (2002), “Il controllo di gestione nei ministeri Il controllo di gestione nei Ministeri”, in R. Mussari (a cura di), Il Controllo di gestione nelle amministrazioni centrali, Roma: Rubettino, pp. 11-17. Turrini A. (2002), “Lo studio di casi come metodologia di ricerca”, Azienda Pubblica, XV(1-2), pp. 68-85. Umashev C., Willett R. (2008), “Challenges to Implementing Strategic Performance Measurement Systems in Multi-Objective Organizations: The Case of a Large Local Government Authority”, Abacus, 44(4), pp. 377-398. Van Dooren W. (2006), Performance Measurement in the Flemish Public Sector: A Supply and Demand Approach, Leuven, Belgium: Faculty of Social Sciences. Van Dooren W., Bouckaert G., Halligan J. 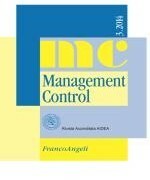 (2010), Performance Management in the Public Sector, New York: Routledge. Wang X., Berman E. (2001), “Hypotheses about Performance Measurement in Counties: Findings from a Survey”, Journal of Public Administration Research and Theory, 11(3), pp. 403-428. Webb J.N., Candrev a P.J. (2010), “Diagnosis Performance Management and Performance Budgeting Systems: a Case Study of the U.S. Navy”, Public Finance & Management, 10(3), pp. 524-555. Wise L.R. (2002), “Public Management Reform: Competing Drivers of Change”, Public Administration Review, 62(5), pp. 556-567. Yin R.K. (1994), Case Study Research, Design and Methods, Beverly Hills, CA: Sage Publications. Yin R.K. (2009), Case study research: design and methods, Los Angeles: Sage.